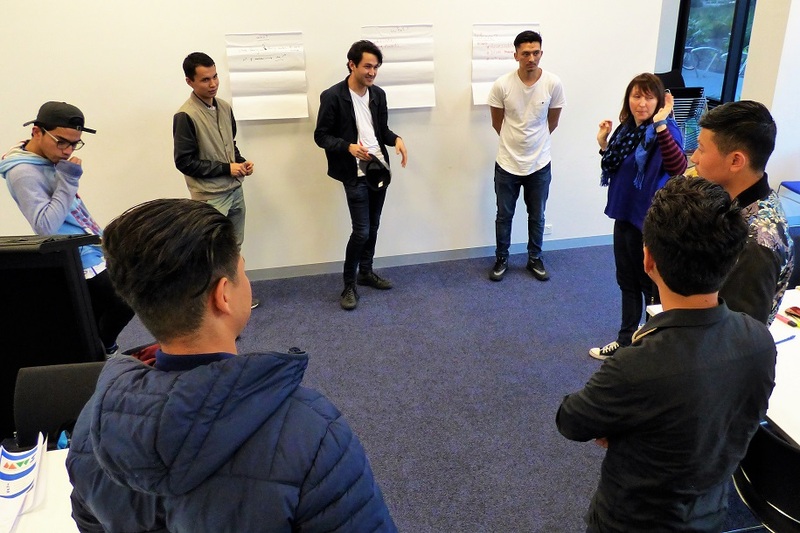 This week I facilitated a meeting between Nicolette Ranieri, the cofounder of innovative startup YourGrocer, and a group of young men from our Australian Hazara Careers Project who were keenly interested in learning about entrepreneurship. During the session, Nicolette took us through the reality of life as an entrepreneur, the challenges she has confronted and the lessons they’ve taught her. Nicolette’s experience resonated with my own in entrepreneurship. She reinforced that the success of a startup depends as much on how well you are connected to potential customers, as it does on understanding the practicalities of idea development and business administration. As such, it comes as no surprise that most startups establish themselves by deriving customers from their immediate networks. This includes those businesses that operate online. As new players in the market, startups are likely competing against more established businesses who have bigger marketing budgets and brand awareness. If competition is not the problem for a startup because their product or service is really one of a kind, there is still the challenge of connecting with potential customers to educate them on why they need a product or service they’ve never heard of. Again, the best place to start is with your network, people who trust you and therefore will trust your new idea. The age of the entrepreneur seems to be squarely upon us, as funders and social agencies alike seek to capitalise on the great opportunities that exist in our evolving economy. Programs continue to spring up which are targeted at a range of community members, including those with refugee experiences. I’ve been involved in running them myself. Many of these programs stress the importance of networks and work to connect participants to business mentors or to a community of entrepreneurs. And of course, most programs include a social media networking element. While these activities are important stepping stones toward building a business, those mentors, fellow entrepreneurs and Facebook followers are unlikely to amount to the type of customer network that a new business needs to get off the ground. Of course, it does happen – but not often enough to be an effective approach. People from refugee experiences who have recently arrived often identify two key challenges in this area. Firstly, as new migrants, they are unlikely to have large networks, or real access to large networks. Secondly, due to overt or less conspicuous economic and social isolation, the networks they do have consist of people in similar social and financial situations (if we disregard their connections to the social sector). As entrepreneurs, this greatly affects their ability to access potential customers in the wider community and ultimately build successful businesses. Without an authentic and effective way of connecting into the market, they will face an uphill battle in what is already an extremely difficult undertaking. So how can we assist entrepreneurs from emerging communities to build these valuable networks? The “Humanitarian Innovation Platform” was a social assistance model I was developing known as Symbiotic Innovation (SI) – a social ecosystem approach to strengthening communities. The Churchill Fellowship experience was truly life changing. Through those meetings with world leaders in humanitarian innovation and entrepreneurship, I was better able to understand the crucial role social environments play in inspiring and nurturing entrepreneurship and social innovation. It might be important to clarify that I’m not simply talking about speed networking or similar approaches to building networks. Symbiotic Innovation is an ecosystem approach where members of diverse communities bond together through what I call Integrated Social Response Frameworks. These are organic networks that are sustained by the reciprocal exchange of value from one community to another. These community frameworks are initially built to address a common social challenge. However, they are then used as social structures to provide ongoing benefits between communities, such as friendship, resource acquisition, employment opportunities and, in the relation to small business, customer networks. 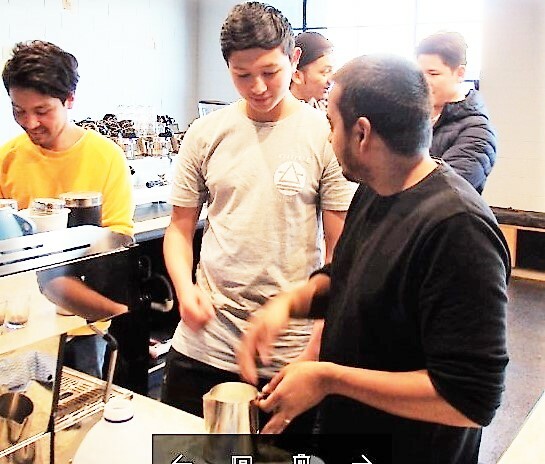 Our organisation Community Four, a social startup itself, has been running SI projects with emerging communities in Melbourne’s west and south east since 2016. We have found it to be a highly effective tool in nurturing and extending social ecosystems, so that value can be exchanged more freely within our diverse society. The most important aspect of SI is that it starts from the community and works out towards a challenge, rather than working from the outside and targeting a particular community as the challenge. Community members from refugee experiences, like the rest of us, know what their barriers are – SI is about providing an environment where they have the tools and resources to address these challenges, alongside the rest of the community, in a way that is relevant and sustainable for them. SI was created in recognition that, just like the old economy, the industrial models of social assistance are becoming redundant. Social programs, such as small business incubators need to exist in the real world – not just inside the processes and structures of a social agency. As with the new economy, the future of social assistance is in connection, not isolation. Ecosystem approaches like SI can complement incubator and accelerator programs and build valuable bridges between communities and across diverse networks. Those in the startup business know that our networks can provide a lot more than just customers. There’s a myriad of other resources required to sustain yourself through the trials and tribulations of starting something new: a part time job to pay the bills, moral and technical support, word of mouth, and of course investment. By understanding how to utilise the symbiosis effect, we can connect entrepreneurs from emerging communities deeper into our society, and give them the best chance of becoming the next big thing. Gavin Ackerly is the CEO of Community Four and founder of the Humanitarian Symbiotic Innovation model. He has over a decade of experience working at the coalface and as an empowerment and enterprise programs director within the refugee sector.